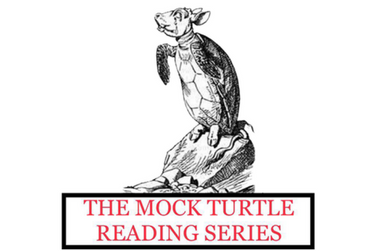 Artwork provided by The Mock Turtle Reading Series. The Mock Turtle is a monthly reading series hosted by students from the University of Maryland’s MFA Program in Creative Writing where current MFA students and alums from UMD, as well as students from DMV-area MFA programs, can share their writing with their peers and the public. The series aims to create a sense of community among writers and lovers of literature.